S.I.C.M.E. 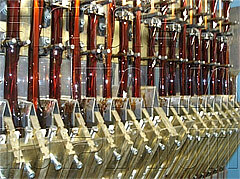 SpA was founded in 1955 in Turin specialising in the manufacturing of enamelling machines for copper and aluminium insulated wire for electrical winding, starting from the smallest round ones up to the largest strips. Soon it became the most important company in its sector thanks to the constant technological developments and valuable experience gained due to a close collaboration with enamel manufacturers and magnet wire producers. ITALIA IMPIANTI, founded in 1970 and also specialising in the production of wire enamelling machines, expanded rapidly in the industry due to the invention of monolithic-structured machines characterized by low consumption and highly reliable. Towards the end of 2004, ITALIA IMPIANTI purchased SICME Spa creating SICME ITALIA IMPIANTI, based in Druento (TO) ITALY. 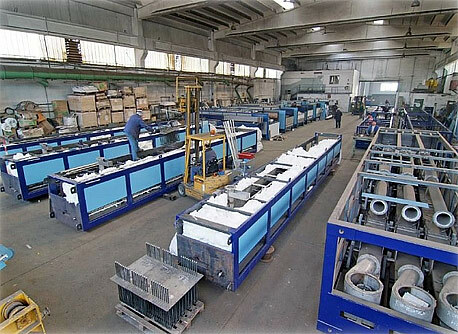 The company capitalised on 55 year of experience of SICME Spa and over 40 years of experience of Italia Impianti, forming a production centre and a techno-pole unique for experience and size. All parts and products have been analyzed and improved using the common experience of both companies, to propose always the best possible solution to each customer. In 2016 the company changed name to "SICME ITALIAIMPIANTI MC" (MC stands for the first initials of the next generation, the offspring of the owners of the company) refreshing the image, but the team and objectives remain the same: to produce high quality machines with high technology and low level of maintenance required. SICME ITALIAIMPAINTI MC still has the headquarters in Druento (Turin) with a surface area of 19.000 sqm. Around 10.000 sqm. are under cover and used as operational departments (offices, mounting area equipped with 9 cranes with carrying capacity from 6 to 20 tons, research laboratory, spare parts warehouse, etc.). The sole rod breakdown and intermediate drawing machine assembly area covers 1000 sqm., for assembling and specialised manufacturing ready for production. Within the Wire Enamelling Machine manufacturing Industry, SICME Italia Impianti MC is one of the few companies that have a dedicated manufacturing, engineering and R&D facility. The complete SICME ITALIAIMPIANTI MC team includes excellent professionals (above all technologists, engineers, graduates, skilled technicians, software engineers, mechanics, etc.) who have long experience in the field. 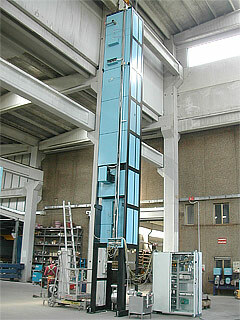 The company produces internally most of the plant components & accessories and it carries out inside the factory all tests related to the finished machines (also for vertical machines, with a special tower 20 m. high for testing) so that, only after the complete testing finished machines, delivery can then be scheduled. 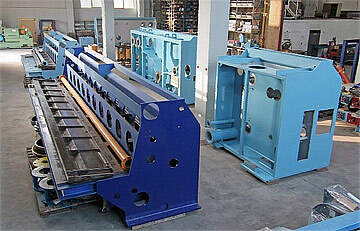 SICME ITALIA IMPIANTI MC also has a dedicated spare parts warehouse of 1000 sqm. able to provide a wide variety of spare part even for very old machines (since the company retains all the original projects, patented designs, etc.) going back to the first machine dated 1958. Furthermore, the Intellectual Property for SICME designs remain with SICME ITALIAIMPIANTI MC. Thanks to the constant level of innovation within the R&D work carried out by SICME ITALIAIMPIANTI MC, a new technology has been recently developed, to significantly reduce the costs of energy consumption for thermal power in relation to the production of AL and CU enamelled wire. 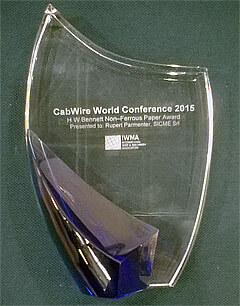 Furthermore, SICME ITALIAIMPIANTI MC received the HW BENNETT non-ferrous AWARD for the innovation relating to energy consumption savings, using natural gas for thermal power within the enamelling ovens. Currently, SICME ITALIAIMPIANTI MC is the only manufacturer in the world offering this new technology, using natural gas for thermal power in the enamelling ovens in modern wire enamelling machines.